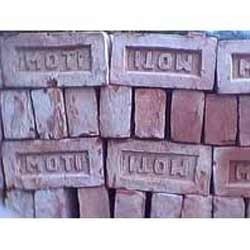 We supply a vast range of Building Bricks to make civil or construction work possible for offices across india. Our foremost concern has forever been to delight offices with a broad range of services, and building materials do the same for us. Whatever our clients call for, we arrange for their needs in stipulated time so that they feel ease and enhance their productivity. Phoenix Trading Company, one of the leading traders, wholesalers and suppliers of this impeccable range of Paints & Construction Material, established its operations in the year 1990. The offered range comprises the finest Wood Polish, Emulsion Paint, Enamel Paint and many more, which are widely acclaimed and asked for in the market. Processing of this range is done in compliance with the set industry norms and guidelines, utilizing the finest raw materials and modern machines. This ensures the product’s standard of quality. In addition to this, the offered range is known to be marked at the most reasonable rate possible. Our state-of-the-art warehousing facility, we own, has been equipped with all the machines and equipment, needed for the facilitation of attainment of a number of the firm’s goals and objectives. The facility spreading over a huge area of land, is known to be highly spacious in nature. The facility’s unmatched resistant to heat moisture, earthquake and insect infestation, help us in the preserving of the goods. To manage the operations of the firm, in the best possible manner, the facility has been compartmentalized. In addition to this, our ethical work practices, have helped us accumulate a huge client base.